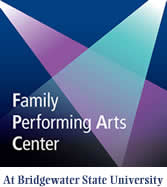 FPAC’s The Little Mermaid is almost here! We have everything here at The Little Mermaid! Have you been thinking to yourself that you need dancing seagulls in your life? Or singing chefs? Sounds like you need to buy your ticket for FPAC’s The Little Mermaid! We’re having a “fin-tastic” time in rehearsals (I told you we’re not above fish puns). It’s a must see, take a look below to meet some of the characters! 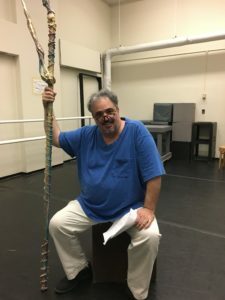 King Triton (played by Gary Bigelow) takes a break from ruling to ocean in rehearsal. 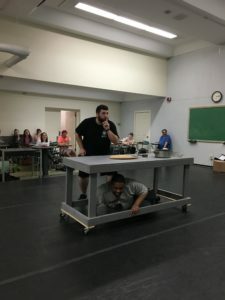 Get ready to meet Chef Louis (Justin Grankewicz) and laugh yourself out of your seat…unless you’re Sebastian (Dana Reid). 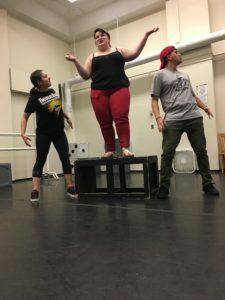 Uh oh what could Ursula (Andrea Giangreco) and Flotsam (Becca Collins) and Jetsam (Nick Maloof) be up to? Grab your ticket to find out! 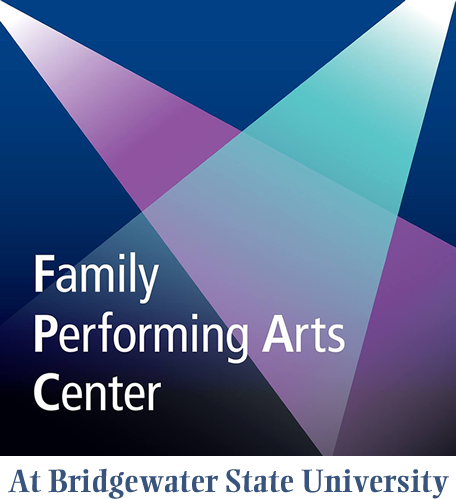 Your ticket for the: FPAC’s The Little Mermaid is almost here!